Are Trash Fish the Answer? By Michael Leviton, Board Chair of Chefs Collaborative. Chef/owner of Lumiere in Newton, MA and chef/co-owner of Area Four in Cambridge, MA. Crossposted from the Huffington Post. The issue of sustainability in the seafood industry continues to make headlines — despite whatever progress we seem to be making. It can be incredibly nuanced, and mean different things to different people. As a chef in New England, promoting sustainable seafood means supporting local fishermen who are catching fish in a sensible manner. Thankfully, I am not alone; many chefs are doing their part to support sustainable seafood choices that enrich local communities. New England seafood has also reached a critical tipping point. Just two weeks ago, the New England Fisheries Management Council announced sharp decreases in allowable fish catch limits for almost every species, especially cod. 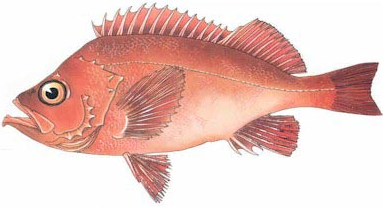 This assessment confirmed the critical situation for groundfish in New England, and the consequences will hit our fishing communities very hard. If we choose not to act, our centuries-old fishing industry will all but disintegrate. In the face of this challenge, there is an urgent opportunity before all of us — whether you’re a chef, fisherman or consumer — to embrace the full meaning of sustainable seafood. It’s our responsibility to utilize all fish species, and not waste precious choices just because they are, for lack of a better word, unpopular. In fact many fish that we embrace today were widely considered trash fish in the not-too distant past. Skate and monkfish, for example, were once frowned upon by chefs and fishermen alike. Here in New England, skate was cast aside for decades and only splashed into the spotlight in the late 1980s when it became valued for its meaty, mild and nutty taste. Monkfish was passed over because it was viewed as too ugly to taste good. Yet today, the monkfish finds itself a regular on high-end menus, regarded for its versatility. Skate and monkfish ultimately made such strong entrances onto the culinary main stage that they were ironically overfished. And here is where it gets complicated. As we turn to underutilized species to diversify our seafood choices, we need to be sure that we are not creating new problems. As mentioned before, monkfish quickly traveled full-circle from its “trash fish” status to being listed as a fish to avoid by the Monterey Bay Aquarium. In our enthusiasm for the fish, we took too much. What’s more, monkfish are commonly harvested with bottom trawls, a method that can wreak havoc on seafloor habitat and cause a high level of bycatch. Luckily, as scientists learned more about monkfish, swift conservation efforts were implemented to help protect them and they are now making a comeback. The reason that underutilized species risk becoming exploited is that many of these lesser-known fish are “data-poor,” meaning we don’t know enough about their populations, or what their sustainable catch levels may be. We also don’t necessarily know what fishing methods we must implement in order to minimize bycatch, reduce the impact on other species and protect ocean habitat. Data collection and innovation in fishing methods will be key to healthy fisheries, and allow us to effectively control populations. And with enough foresight, I believe we can manage the ways we fish for lesser-known species and avoid industry-wide complications. In an effort to open up a dialog about the role of underutilized species in our sustainable seafood future, I have temporarily embraced the phrase “trash fish,” and I am hosting a Chefs Collaborative Trash Fish Dinner. On March 10th, at my restaurant Area Four in Cambridge, I will be hosting chefs Rich Garcia, Larry Leibowitz, Evan Mallett, Mary Reilly, Jake Rojas, Michael Scelfo, Derek Wagner, and Drew Hedlund. We look forward to serving a delicious multi-course dinner featuring underutilized species, and to a discussion on the future of sustainable seafood. Barton Seaver, Sustainability Fellow in Residence at the New England Aquarium and National Geographic Society Fellow, will also say a few words. It is more important than ever for us to grapple with the challenge of our dwindling fish stocks, to continue learning from one another and to communicate the excitement and possibilities of underutilized species to a larger audience. We hope the dinner will stimulate conversation about the important role we each play in promoting sustainable seafood and in supporting local fishing communities. For all Trash Fish Dinner details, and tickets, go to: chefscollaborative.org/events.